I don't speak Japanese, but this guy makes it all sound incredibly exciting. Dragon Ball is a series that has lasted so much longer than I thought it would growing up. I always had a soft spot for the original series, and DBZ had its fun moments, but the fact that it's still actively being created as Dragon Ball Super is so wild to me. Of course, if the show is still going then you know that games are still being pumped out too. One of these games that I was not familiar with before today is called Dragon Ball Heroes. Not to be confused with the Warriors spin-off Dragon Quest Heroes, DBH is a digital card game that was apparently quite popular over in Japan. Also, it's an arcade card game, which blows my mind. The series made the jump over to 3DS in 2013 with Dragon Ball Heroes: Ultimate Mission, and then got a sequel a couple years later. 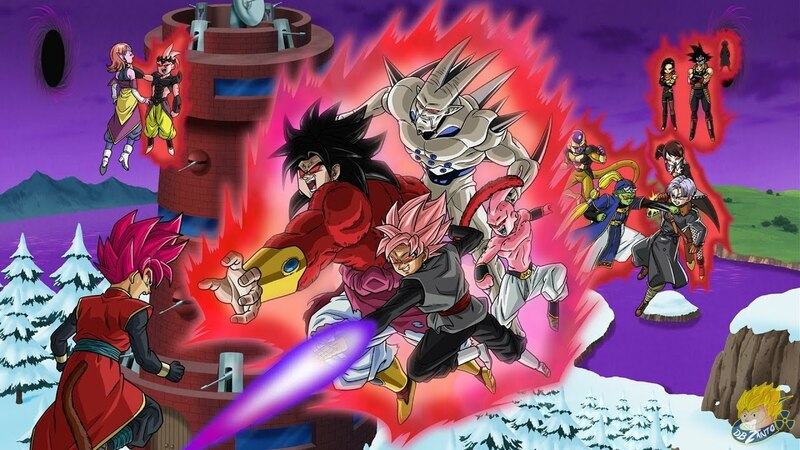 Now, Dragon Ball Heroes: Ultimate Mission X is getting ready to release on April 27, and you can see it in action in the trailer above. It's a bit difficult to decipher what exactly is going on from a gameplay perspective, but the gist seems to be that you use cards to put together a party of five Dragon Ball characters and then have 5v5 battles. Don't get your hopes up though, as the series hasn't been localized up to this point. It's no surprise that the arcade entries haven't made their way over — as that scene isn't near as big over here as it is in Japan — but I'm a bit surprised that Bandai Namco hasn't tested the waters with one of the 3DS titles. Still, you never know. As a sidenote, if anyone knows what is going on with the art that pops up for just a brief moment about 33 seconds in then please, by all means, let me know, because that is borderline fan-art. Catch a better look with the still-image below, pulled from YouTuber DBZanto Z's video on the game's announcement.